When the PlayStation released worldwide in 1995, the powerful home console was lacking one major thing: an icon. Games like Battle Arena Toshinden, Warhawk and Ridge Racer all impressed gamers at the time, but none of them featured a marketable character like Mario or Sonic. All of that changed in 1996, when a small studio called Naughty Dog changed the gaming landscape with a 3D platformer called Crash Bandicoot. The wacky marsupial quickly became PlayStation’s mascot, and was representative of the brand itself. Looking back the decision was slightly odd, as the series was owned by Universal Interactive Studios, but it made sense at the time since Sony had an exclusivity deal at the time as the series’ publisher. So, from 1996 onward, when gamers thought about PlayStation, they pictured Crash Bandicoot alongside it. Good things don’t last forever, though. The deal between Vivendi Universal and Sony Computer Entertainment ended in 2000 with the release of Crash Bash, the first non-Naughty Dog developed title in the series. This saw Sony’s biggest icon at the time go multiplatform, which was genuinely shocking, and start appearing on Nintendo and Xbox systems. What followed was a drop in quality, too many yearly releases, and then a long hiatus that is finally ending thanks to the release of the N. Sane Trilogy. The beginnings of Crash Bandicoot can be traced to Naughty Dog being in rough financial shape in the early 90s. While it’s hard to imagine the Uncharted and The Last of Us developer not being successful today, they failed to find much success early on. In a last ditch attempt to save the studio, the team partnered with Universal Interactive Studios on a several game deal. The first title was a forgettable fighting game called Way of the Warrior, but the second game on the deal ended up being a huge hit that guaranteed that Naughty Dog had a feature. 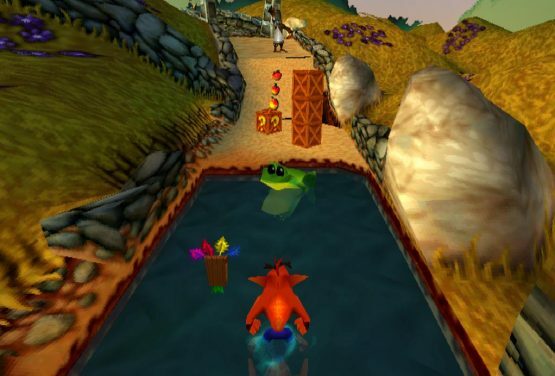 Called Crash Bandicoot, Naughty Dog created a 3D platformer that showcased all of the strengths of Sony’s home console. It had impressive graphics that blew Super Mario 64 out of the water, simple gameplay that anyone could get into, and memorable boss fights. It quickly became one of the PlayStation’s best selling titles, and became the system’s mascot thanks to a marketing push by Sony. Naughty Dog wasted no time capitalizing on the success of their 1996 hit, as they released a sequel the next year called Cortex Strikes Back. It didn’t reinvent the wheel in terms of gameplay, but the studio put out an even more polished game that looked and played better than its predecessor. This yearly release pattern would continue with a third platformer called Warped. The series ended on the original system with two spin-offs that took the series in two new directions, as Crash Team Racing was an excellent racing game, and Crash Bash was a solid party game. As noted previously, the deal between Universal and Sony came to an end after Crash Bash. This led to Traveller’s Tales’ The Wrath of Cortex getting released on Xbox and Gamecube after debuting on PS2. While not a bad game, The Wrath of Cortex did little to top Naughty Dog’s 1998 release. This was a major problem in 2001, as the game that was trying to capture the magic of the past had to compete with games that were moving platformers forward (like Naughty Dog’s Jak and Daxter). This kicked off a decade that was defined by mediocrity. No matter who was developing Crash Bandicoot, be it Traveller’s Tales or Radical Entertainment, the end result was always a middling title that failed to impress. Even attempts to recapture the magic of Crash Team Racing failed as Nitro Kart and Tag Team Racing ended up being merely okay. Overall, it was a huge fall from grace for a franchise that once was the symbol of quality. 2008’s Mind over Mutant marked the final Crash Bandicoot game for consoles, as the series went into a hiatus shortly afterward. 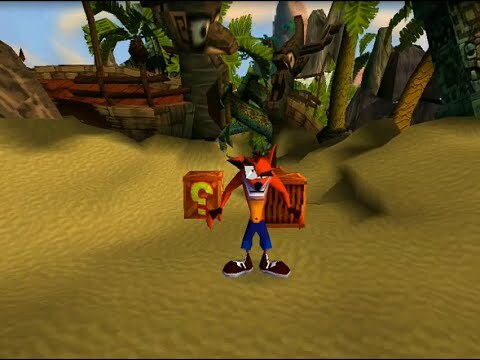 While nobody wanted a Crash game in 2010, nostalgia is a hell of a thing, and after a few years people started to clamor for a new title in the series. Activision, who now owned the franchise after merging with Vivendi Games in 2008, saw the demand for a new game, and are now bringing the series back with a remake of the original trilogy. After 20 years of spinning, Crash Bandicoot has gone in a full circle to return to his roots. It’s certainly an exciting time to be a Crash Bandicoot fan as the N. Sane Trilogy looks to be a solid remake of the original platformers. Vicarious Visions is a talented studio, and if the collection ends up being a big success for Activision then it would make sense for a new Crash game to be made. We could be seeing a comeback for the ages happen right before our eyes, and that’s an incredibly exciting prospect. A lot is riding on the N. Sane Trilogy, as the Crash Bandicoot series went from being one of gaming’s greats to a washed up memory of a bygone era of 3D platformers. This gives Activision a chance to restore the series’ reputation, and the ability to recapture the magic that won gamers’ hearts 20 years ago. Who knows, a successful remake could even pave the way to a new era of high-profile 3D platformers beyond Mario.